Now you can express your anger at the GOP through the internet's greatest art form: memes. 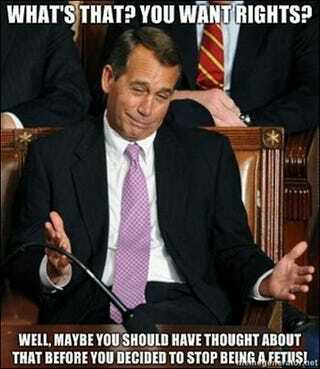 The new tumblr Keep Your Boehner Out Of My Uterus is collecting the best digs at House Speaker John Boehner. While many are pretty funny, they're also frustrating because they're true.